Georges was in need of a haircut last April as we pulled into Crawfordville, just inland along the “forgotten coast” of Florida where the panhandle turns into the peninsula. We’d progressed barely 73 miles along the perimeter of the country on this particular day, distracted in the morning by boat- and bird-watching along St. George Island and in the afternoon by learning of the area’s famous summertime “worm gruntin” festival. Tiffany, as it turns out, had an empty chair. Have a seat, she said. What kind of cut would you like? Layered at the neck, shorter around the ears, G replied. Tiffany recognized an accent. Where are you from, she asked. Belgium, he replied. Belgium! Do they have rich bachelors in Belgium? Well … yes, G replied, I suppose there are…. Are you married, she pursued – and then fairly pouted when he affirmed that he was. Don’t worry, G consoled her, I’m not rich. Florida may be the Sunshine State. But it’s also the Land of Weird Questions. The next day we were further south, in Largo, not far from St. Petersburg, walking back to our car and Casita in a grocery-store parking lot, arms bulging with bags and boxes, when a woman in a big, black pickup truck pulled up next to us. How much would you sell your trailer for, she asked. We smiled, somewhat naively, waiting expectantly for the requisite follow-up comment about how cute the Casita is, how cozy it looks, what a delightful little comfort egg it must be…. No, seriously, she said, no smile in sight. I need a home. It looks perfect. I’m sorry … but … it’s not for sale, we stuttered. Before we could think of what to say next, she gunned the engine and roared off in a blue haze of burning oil. Questions like these make your head spin. Fortunately, we’ve also gotten a number of straight-ahead queries. Three of the most common, for example, are how do you write your blog, how do you do the map that accompanies it, and will you write a book. The blog is but a snapshot of the writing I’m doing on this adventure. I’ve kept a personal journal from the day we departed Dallas (March 1, 2018). It’s grown to nearly 200,000 words. What a joy it’s been. Already parts of our trip are growing hazy in our memories. We’ve been gone for so long and reveled in so many new experiences that our brains sometimes seem on sensory overload. I’ve had to consult my journal several times when G and I reflect on our experiences over the past year just to recall where we were when we saw this or what we were doing when we heard that. The blog is like a series of excerpts from that journal. I look for a particular theme or a specific experience to isolate for a blog post and then embroider onto it whatever additional research or context I think might be of interest to readers. I recorded each of these experiences in my journal. But most fun was fleshing these “discoveries” out and writing about them in greater detail and with deeper context for readers of the blog. Mainly, I write to remember. I’d barely heard of the two Sea Islands off the coast of Georgia that we visited last spring. Walking among the historic markers and touching the remains of the mansions at Jekyll Island and the slave quarters of Sapelo Island felt like time-traveling back several centuries. I didn’t want to forget what it felt like. So I wrote about it, first in my journal, a few days later in a blog post. I journal pretty religiously, rarely a day or two goes by without my recording some sort of entry. Time spent ranges from two minutes of dictated notes in my phone to two hours of more thoughtful reflections typed into my iPad Pro. I’m more selective about blogging. It’s been a balancing act. I’ve tried not to let more than a week go by without a new post, mainly because I enjoy the writing process (most of the time) and I want to grow a readership. You can’t ask readers to read you if you give them nothing to read. But reflecting, researching and writing is time consuming. And we’re on the Trip of a Lifetime. Neither of us wants me to spend it holed up with an iPad glued to my fingers, forehead aglow with reflected keyboard lighting, while there are hikes to enjoy, wildlife to witness and sunsets to savor. That’s where the balancing act comes in. Bottom line: There haven’t been many weeks without at least one post. There have been several weeks with multiple posts. This is my 86th blog post since we left home nearly 11 months ago. We started complicated and went simple. Except that this program, we discovered on the road, could handle only a limited number of new destinations. Somewhere along the Gulf Coast of Texas, the map crashed and, despite hours of my frustration-driven trial-and-error efforts to revive it, the visual that seemed so central to the blog’s success was no more. In desperation we sought help from the Apple store in New Orleans, which in and of itself was no small feat, given that GoogleMaps – obviously – isn’t an Apple product. But Apple coach extraordinaire Howard rode to the rescue with a work-around, and we’ve lived happily ever since. Here’s how it works: Find a map online you want to work with. Take a screen shot of it. Tap edit and with an Apple Pencil (or the equivalent for non-Apple products), hand-draw your route on the photo. Save the doctored photo to your Photos. Upload to the blog. The map is less precise this way than I’d originally planned. The thick stroke of my Apple Pencil blurs whether we were in Detroit or Ann Arbor, for example. But it’s fast, easy, simple – and fun. Close enough for blog route-charting purposes. And I can update it at will, adding new segments whenever desired, always building from the most recent photo of my map that I’ve saved to my Photos. I’d love to. But is there an audience? I’d welcome taking these “notes” (which really is what the blog and my personal journal collectively comprise) and expanding them into a book that readers find fun and interesting, informative and insightful. Regarding audience, the blog is a bit of a test case. It has a healthy, engaged, bigger-than-expected following, which has been enormously gratifying, but it’s still a niche audience. I’d love to see it grow as a way to convince a publisher that there’s a good book buried somewhere within. And that’s where you come in. What do you think? Is there a book here? Keven and Georg, It was so good to see you in Tucson in Jan. I asked you then if you might write a book and you said it depended on the interest. I don’t get on the computer very often, but had a free morning and finally did! O my goodness how I wish I did. I have just gotten started on your Adventures and have been enthralled Oh yes, please write a book!! Your writing is sooo excellent!!! Thank you thank you! I’m so glad you’re enjoying the blog. I have a proposal out to a literary agent. So please cross your fingers and toes! I hope you are well. We look forward to seeing you when we next get to Tucson, probably this coming winter. Of course there is a book here and many of us are waiting for it. Please oblige. Enjoyed the post. Interesting questions! I love reading your blog and hope you can continue your journey! Well, absolutely there is a book to be written (by you) and devoured (by us)! Because we wander a bit ourselves, and I’m always looking for great ideas and recommendations, I tried to make a list of your recommended campsites. 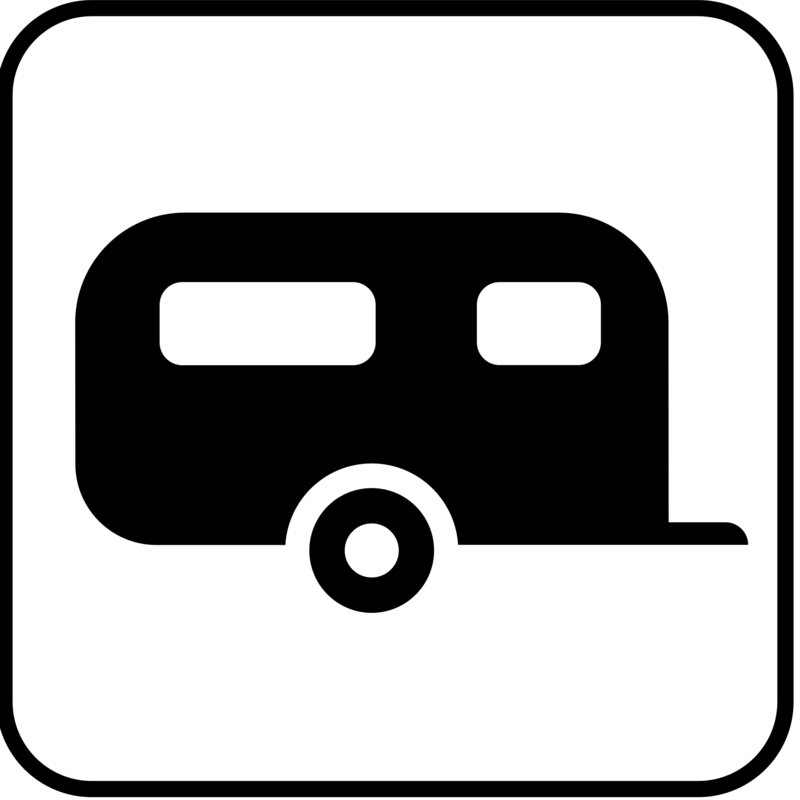 So, I’d like to see you include (oh wait, I don’t think you asked 🙃), list of great campgrounds ( and campsite numbers as you did sometimes), great places you and G. ate, and, of course, some of G’s recipes. But whatever you write, I’m sure it will be fabulous. Have you thought of writing on Blurb and publishing through them and Amazon so there is no big expense up front? Or E-book for those of us on the road? Sorry, I may have gotten overly bossy here. Just do it! Thanks, Mary, love your ideas! Any chance we saw you on the Tucson Loop last week? We are with Doug and Liana this week in Payson…. they say hi! We will keep your suggestions in mind! Politics aside, 😄, I would love to read your book! I commented earlier, we have a Casita and spent four months enjoying the East Coast, Maine to Key West and back along the Gulf. Love your posts! Thanks, Maggie! When is your next Casita trip? We resume our Casita travels on Saturday. Can’t wait! I think that I got in on your blog from the very beginning. I recall reading the DMN article and started following you then. I have loved every single entry. Always disappointed because I know by the end of the entry, I will have to wait another week for the next entry! We have lived in Dallas since ’83 but was raised in Tucson. My in-laws lived up at the end of Swan and we lived by Davis Monthan Air Force base. Looking at the mountains and trying to figure out where your home is. Love your blog and can’t wait for the rest of the story. Thank you, Karen, for such a wonderful comment. I’m so glad you’ve been along for the ride from the beginning! I grew up on the southwest side of town in Tucson and worked at the Arizona Sonora Desert Museum in high school. Our home now is on the northeast side of town near Sabino Canyon Road and Tanque Verde. So maybe that solves the mystery for you. Very best to you and your dad! Georges is very rich Keven. He hit the marriage equivalent of “Power Ball” when he found you. And the reverse is true as well. It’s a pleasure to know a couple like you two. Yes, yes, yes! There is definitely a book here. For every traveler who wants to explore the US, or for every dreamer-of-travels and discovery, what a treasure trove this is. Garrett distinguishes between a tourist and a traveler. Yours would be a book for travelers. Thanks, Cecilia, for the enthusiasm! And I love that distinction that Garrett makes. Like someone said earlier, I would also be interested in “living vicariously through your travels”. An adventure from my corner of the sofa. I would love it if you would write a book. (I’ve already placed my order with Amazon 🙂 ) I think that you could just package the blog, and put in bigger pictures. Self publishing maybe? Also, I don’t agree with ML Gist re the editorial slant of the DMN. I’ve read the paper for over 40 years, not always agreeing, but recognizing that we are all have different opinions. I’m only sorry that staff cuts have started to affect the entire paper, and it seems the the daily editorials have taken a big hit. Please keep writing, I’ll keep reading. Thank you. would be of special interest to them. encourage them to go off the beaten path when traveling from point A to point B. And why not have your political views…..how else will the reader get to know you and your personality? As soon as the book comes out I will be placing an order for at least five! I think there is an audience for a book. Many are interested in the logistics of how you research and do such a trip. And many more are interested in living vicariously through your adventures. I have enjoyed the blogging of your trip. What I do not like is when you include your political bias/opinion. I never liked the influence you had regarding politics at the Dallas morning news. In fact I canceled my subscription after many years when the News began to drastically change. So, if you write a book, stick to the trip would be my input. I hope there will be a book and even a movie. Who will play each of your roles? Ha! What a fun thought. We’ll chew on that as we resume our travels later this week….